A couple months ago, my family took a trip to the East Coast to visit some of America’s historical sites. 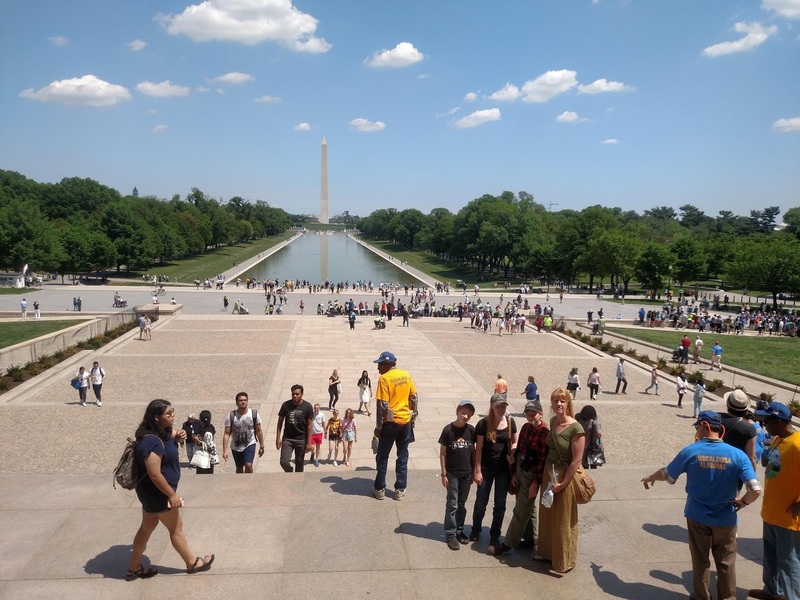 This is a picture taken from the Lincoln Memorial looking toward the Washington Monument. If you notice near the center of the picture, people are starting to line up on both sides of the path on this end of the reflecting pool. We happened to be there right as they were setting up an Honor Flight event there in between the memorials. They were bringing out wheelchair after wheelchair with brave veterans who fought to make and maintain something we all enjoy everyday in the USA: Freedom. Though we don’t think of it in that perspective usually, freedom is one of the very most important things that the USA makes available for the use and enjoyment of its citizens. George Washington, Abraham Lincoln, and these wheelchair-bound veterans being honored at their memorials all put much work into developing, manufacturing, troubleshooting, and making available the God-given freedom and safety that we take for granted most days. But let’s take today, Made in AMERICA day, and remember the blessing of our most important domestic commodity: FREEDOM!